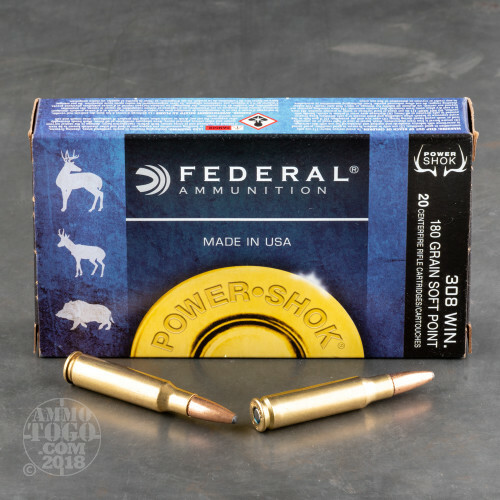 Federal offers their Power-Shok line of rifle ammunition to hunters who expect big results no matter which medium or large game they’re in pursuit of, but who don’t plan on paying big prices in return. 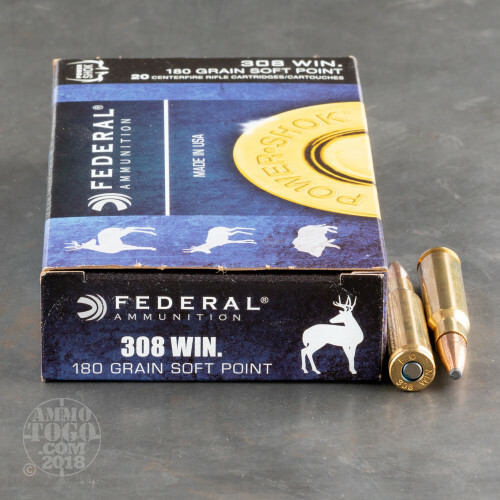 This 308 Win cartridge sports a 180 grain soft point projectile. The bullet’s hard jacket and 2,570 fps muzzle velocity ensure that it can penetrate rugged animals’ hides, while the soft lead exposed at its tip allows the bullet to deform and tumble during penetration. That creates a wide and devastating wound channel, just what it takes to convert a trigger pull into a fast kill. This round’s bullet suits it for hunting in areas where hollow point projectiles are banned as well. 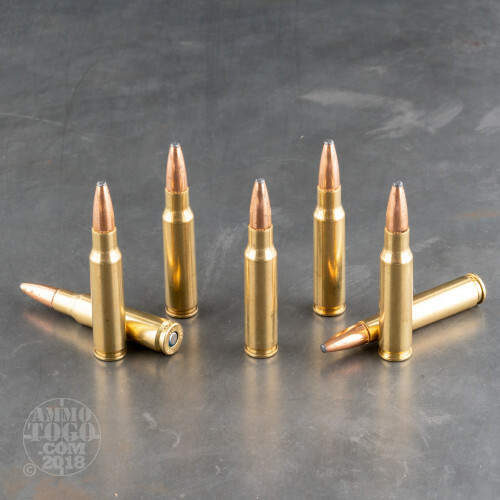 These 200 rounds’ uniform brass casings, non-corrosive primers, and propellant loads all ensure they’ll deliver consistent performance. 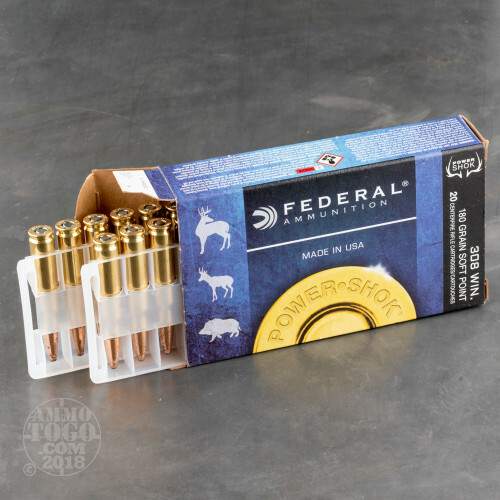 With a couple hundred of them you’ll have the ample amount of ammo you need for a little target practice before heading out into the woods, and you may reload whatever you’ve fired at home afterward.